Smart home systems have taken the country by storm, and every year there are more and more companies entering the arena. It gets to the point that you start to feel that if you’ve seen one, you’ve seen them all. But Geeni by Merkury Innovations made us do a double take for sure. 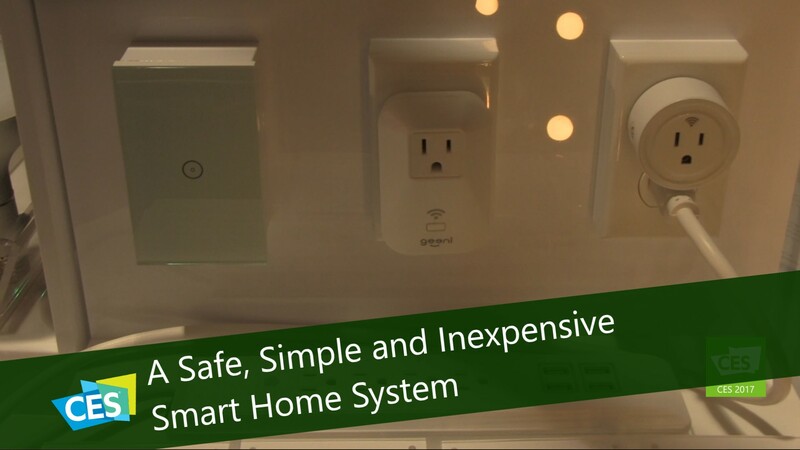 Their smart home components are much simpler to use and compared to most other systems out there as they do not require hubs and they don’t break the bank. They are the perfect way to enter into this type of technology. You can get started with one or a few of pieces or you can build an entire system for your home. Either way, you access the components via one easy to use app and control everything from your smartphone or even with the Amazon Echo. The product line starts with single wall plugs that fit into your standard wall outlets that allow you to turn your existing appliances on/off remotely. There are also surge protectors that allow each plug to be controlled independently. All you have to do is plug these in and they will quickly and automatically connect to your home’s Wi-Fi and be available on the app. Next up are the line of smart lights that have all of the energy saving features of current LED bulbs with the added bonus of smart connectivity through the app. The bulbs range in size to easily replace all of the bulbs that you currently use and come in white or fun changeable colors. Another amazing addition is the line of home security cameras. Color choices are white and grey and come in both 720P or 1080P High Definition models that all record to SD cards. Monitoring is a breeze with the sharp and clear images. You’ll also get alerts to your phone whenever any motion is captured on the cameras. You can access the Geeni app and live stream whatever is happening in the home at any time of the day or night. And you can set the sensitivity to fit the specific needs of your household. The app offers snapshots on a timeline so you can easily choose the scenes that you want to watch without having to sort through hours of footage. Set up is easy as well. You can place cameras anywhere in a room: flat surfaces, the wall, or even the ceiling. Multiple cameras can be added and they will all work together on the same Geeni app. We’re really excited to see where this company goes from here. The products will begin rolling out at the end of the 1st quarter with some coming in the 2nd. Prices for the light bulbs range from $25 to $35, the plugs range from $25 to $20 and the cameras start at $69.99. To get more information and to purchase, visit their website.